This book is written for Jews, messianic believers, and Gentile curious about the connection between the ancient fall festival of the Old Testament and Jesus Christ, and for missionaries evangelizing to Jewish people. This book is a companion to Christ in the Passover and teaches the history of the ancient Festival or Feast of Tabernacles, the meaning behind the symbols of the modern Jewish holiday of Sukkoth meal, and how Christ fulfilled Old Testament prophecies about the Jewish Messiah. Christ in the Feast of Tabernacles by David Brickner was published by Moody in May 2006 and is our 38001st best seller. 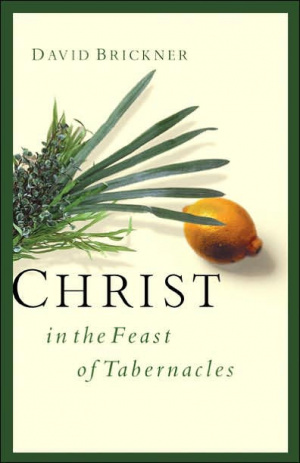 The ISBN for Christ in the Feast of Tabernacles is 9780802413963. Be the first to review Christ in the Feast of Tabernacles! Got a question? No problem! Just click here to ask us about Christ in the Feast of Tabernacles.